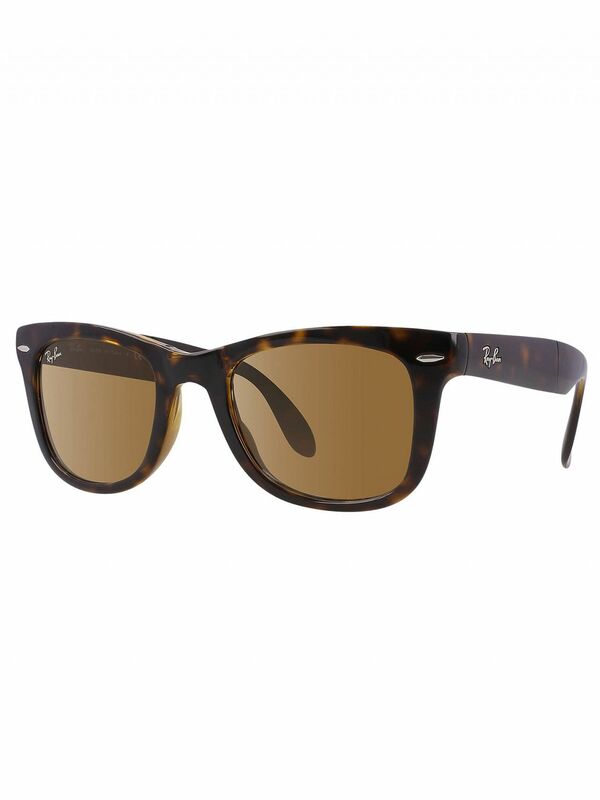 The RB4105 Wayfarer Folding Sunglasses from Ray-Ban features branded lenses and arms, and is foldable which makes it portable. This sunglass comes in Tortoise design. Lenses: polarized Brown Classic B-15.